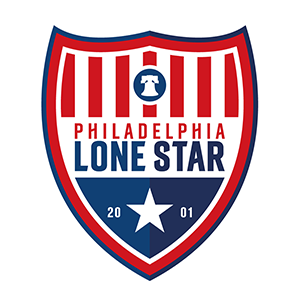 Upper Darby FC v Junior Lone Star II | Philadelphia Lone Star F.C. Captain Mohammed Tall was able to finish from close range in the second half to break a tie and lead Junior Lone Star FC II to a 2-1 win over Upper Darby FC in the first local match played in the United Premier Soccer League. John Mansaray put Upper Darby FC up in the first half but Francis Watson leveled the score before halftime for the visitors, who play just a mile from where Saturday’s game was played at Ardmore Avenue Elementary School in Lansdowne. The Stars are alone at the top of the Northeast Conference American Division standings, but only one other game was on the schedule last weekend. That match between the New Jersey Teamsters FC and Screaming Eagles FC ended in a 2-2 draw. The Stars host New Jersey Teamsters this Saturday at 3 p.m. at Monsignor Bonner High School while Upper Darby travels to Maryland to play SGFC Eagles FC on Sunday and First Touch Elite Soccer hosts Screaming Eagles FC in South Jersey at the PYAA Soccer Complex in Pennsauken.